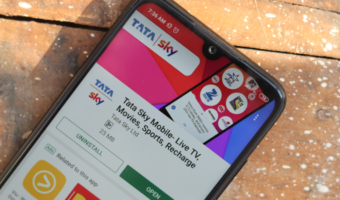 Tata Teleservices, which is in the process of merging its telecom business with telecom major Bharti Airtel, has pipped 4G entrant Reliance Jio in August by adding 4.88 million subscribers, according to subscription data released by sector regulator Telecom Regulatory Authority of India (Trai) on Thursday. Tata Teleservices’ total customer base went up by over 10 percent to 46.9 million. 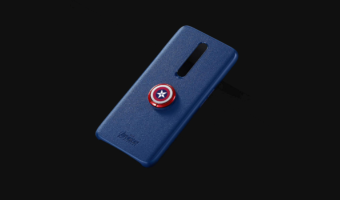 Reliance Jio Infocomm, however, added 4.09 million customers in August, even as India’s top telcos — Bharti Airtel, Vodafone and Idea Cellular — lost 0.2 million, 2.4 million and 2.89 million subscribers, respectively. 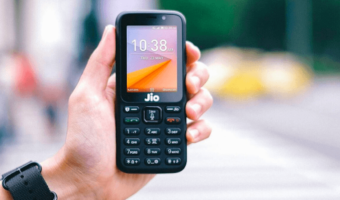 With 4.09 million new customers, Jio’s market share has now gone beyond 11%. Bharat Sanchar Nigam Limited added 0.7 or new customers in the month of August. Anil Ambani-led ailing telco Reliance Communications lost 40 lakh customers in the reported month. RCom is set to close its mobile operation from December 1, 2017. 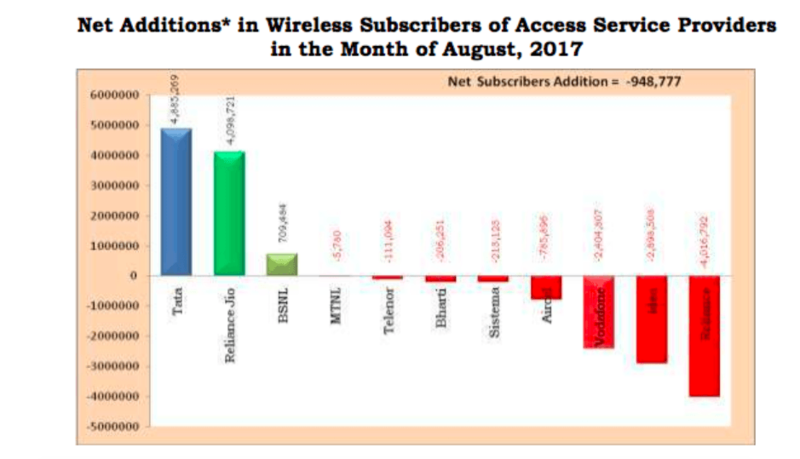 The Trai data revealed that the total wireless subscribers declined from 1,186.79 million at the end of July 2017 to 1,185.84 million at the end of August 2017. The overall telecom user base also declined marginally to 120.9 crore customers. In the month, Aircel lost 7.8 lakh users, Sistema Shyam lost 2.1 lakh users, while Telenor and state-run MTNL lost 1.11 lakh and 5,780 mobile customers, respectively. 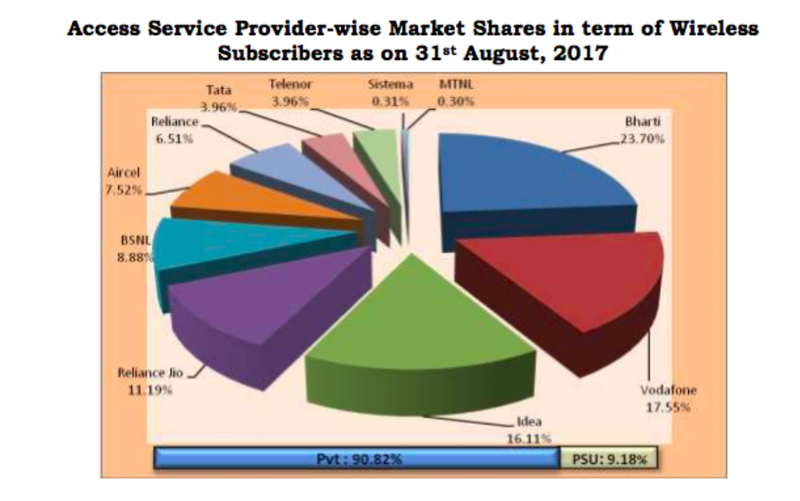 The data revealed that the wireline of the landline subscribers declined to 2.37 crore at the end of August 2017 from 2.39 crore at the end of July 2017. In the wireline segment, Bharti Airtel gained 5,761 new customers, driven by attractive data offers. State-run BSNL, however, lost 1.4 lakh customers, despite attractive offers and schemes. The data also revealed that the broadband customer base increased 1.81% to 31.64 crores at the end of August from 31 crores at the end of July. According to the Trai data, the top five wireless broadband service providers were Reliance Jio (13.26 crore), Bharti Airtel (5.8 crores), Vodafone (4.35 crore), Idea Cellular (2.94 crores) and Reliance Communications (1 crore) as on August 31, 2017.